Wouldn’t you like your summer holidays to be more fun, more adventurous…and more meaningful? Join us for our annual service project abroad to a developing country. Our destination this year is the beautiful island of Bohol is Central Visayas, Philippines. This will be our third consecutive project to the village of Villalimpia, and we are making progress in our aim to alleviate poverty and improve their standard of living. Implementing the project of Reledev Australia (https://reledev.org.au), Creston College has partnered with Foundation for Professional Training, Inc (https://fptiphilippines.org) and Banilad Center for Professional Development (BCPD). 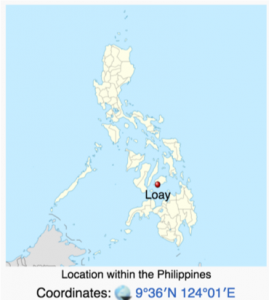 Loay is a 5th municipal income class municipality in the province of Bohol, Philippines located at the mouth of the Loboc River. According to the 2015 census, it has a population of 16,691. In 2013, the island of Bohol was the epicentre of a 7.2 magnitude earthquake almost 300 dead, followed in 3 months by the devastation of super typhoon Haiyan. 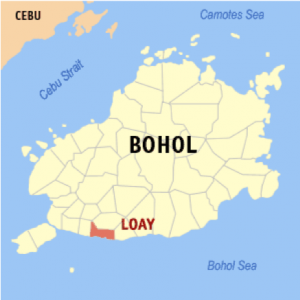 In 2015, 1 in 4 families in Bohol live under the poverty line. 24 January – 9 February 2019 – to and from Sydney. Includes overnights stays in Manila each way. $2100 Includes flights, full R&B and all transport. PLUS $350 fundraising for project materials. IMPORTANT Please email serviceprojects@crestoncollege.edu.au the details of your donation.